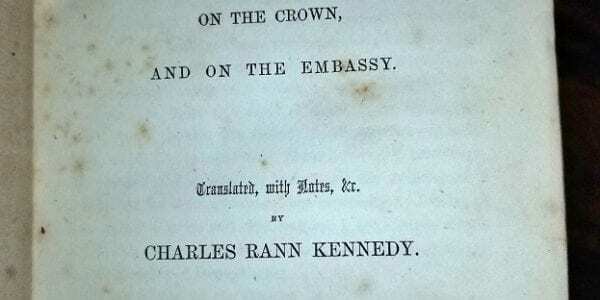 Orations of Demosthenes on the Crown and Embassy by Kennedy 1855. 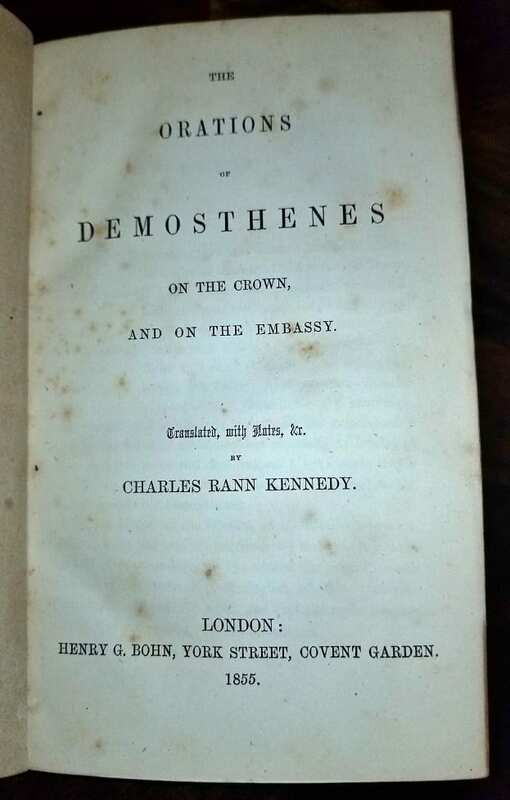 PRESENTING AN EXTREMELY RARE FIRST EDITION hardback copy of The Orations of Demosthenes On the Crown, And on the Embassy. 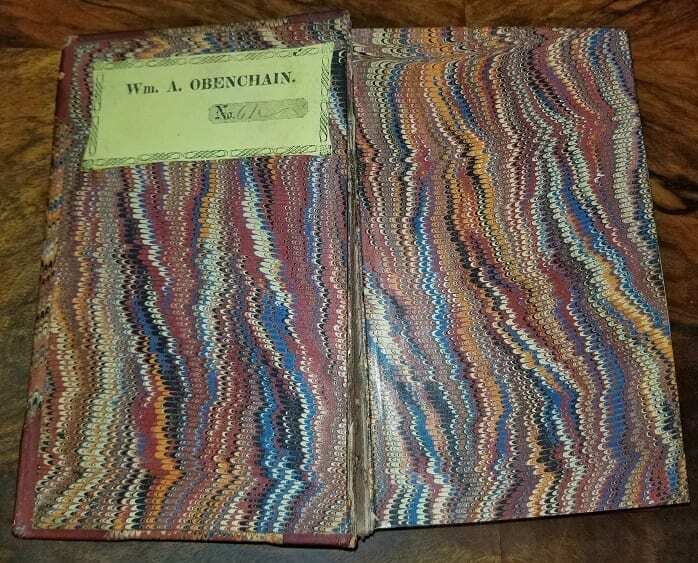 Translated with Notes etc. 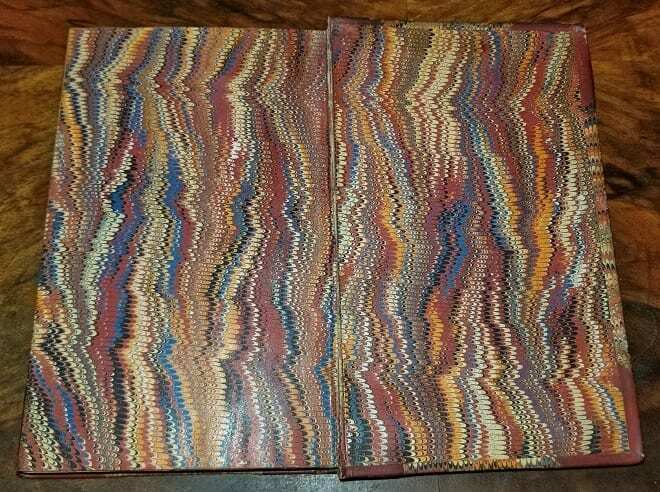 by CHARLES RANN KENNEDY, Published by Henry G. Bohn, York Street, Covent Gardens, London in 1855. 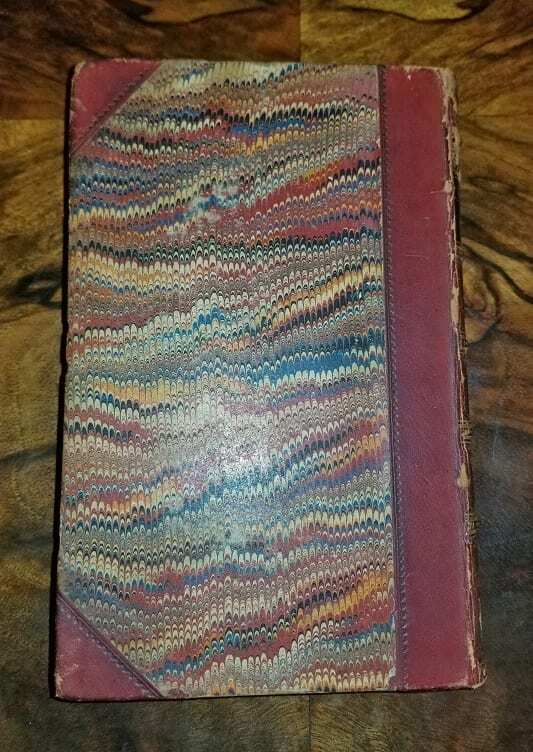 This RARE book is in EXCELLENT condition for its age….. some very minor ‘knicks’ on the edges of the spine and cover, spine slightly loose at front…….but otherwise very GOOD. 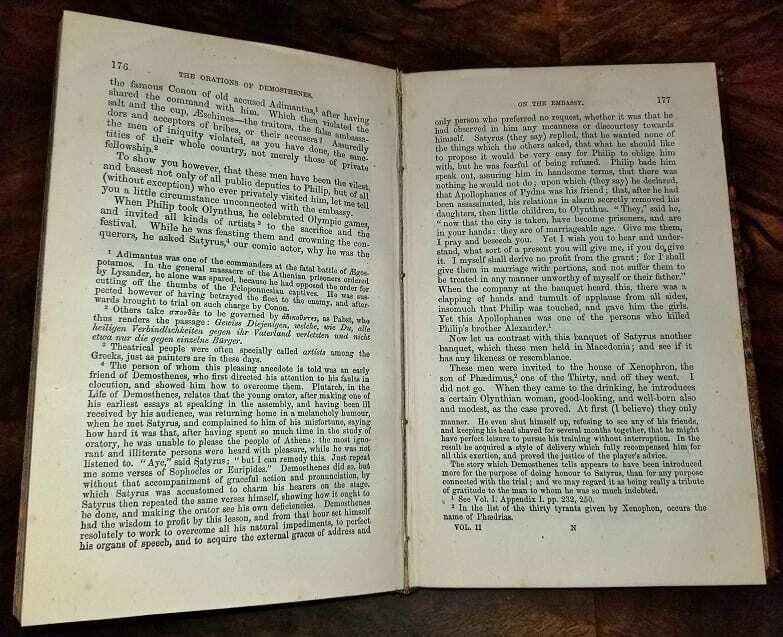 The text is almost perfect….some very minor foxing. 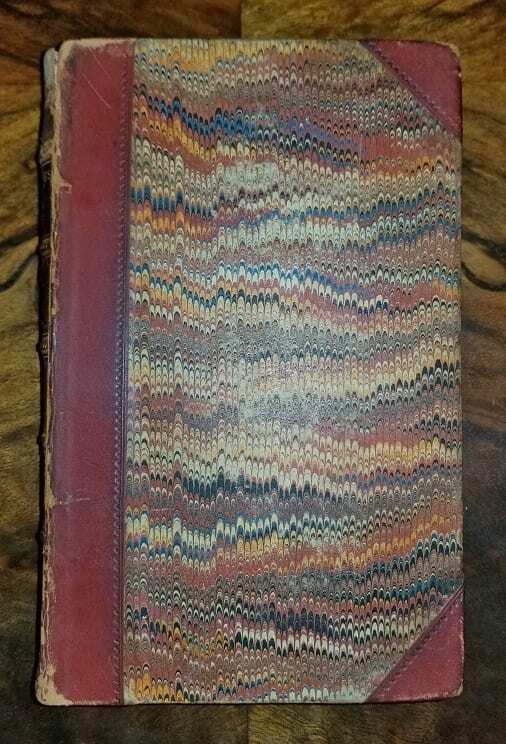 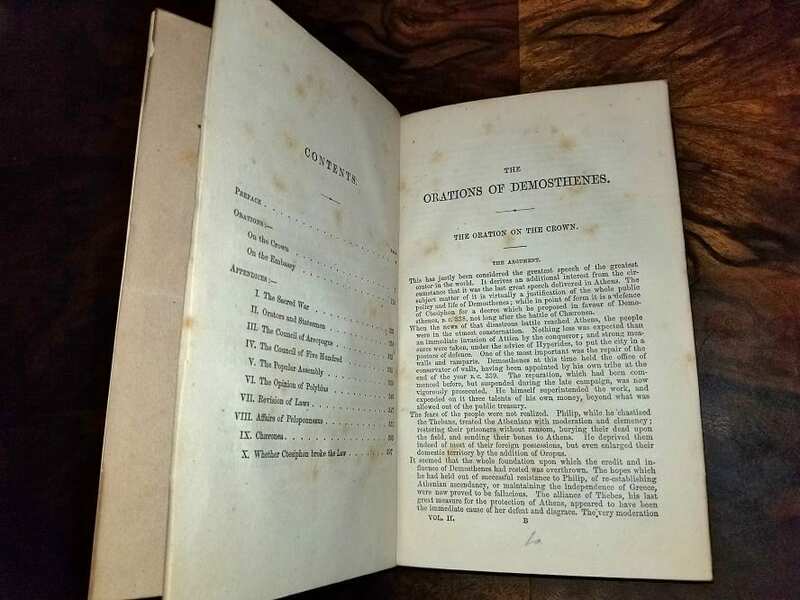 Check out the other Book of Orations of Demosthenes in this Collection from 1856.